Ah, April. The sun is shining. The birds are singing, and tax-paying procrastinators everywhere would rather go to the dentist than deal with taxes. 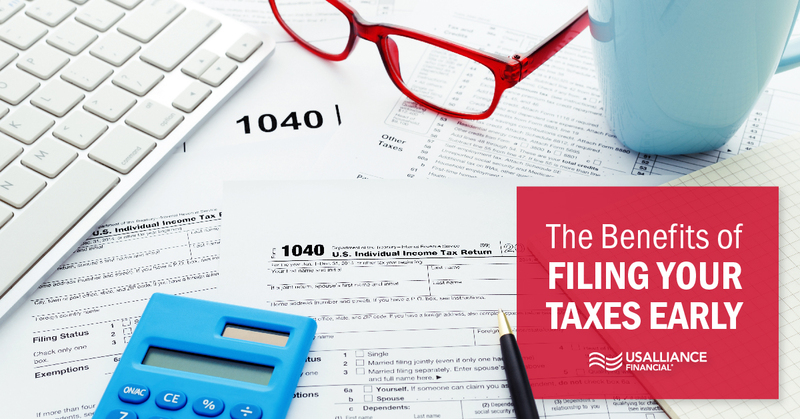 But once you discover the benefits of filing your taxes early, you might realize that the dreaded paperwork isn't so bad after all. You’ve heard the phrase time is money? In this case, it just might be true. If you wait until the day before your taxes are due, you’ll be in a rush — which might lead to you to forego a lot of possible deductions. Deductions that could also lead to a bigger tax refund. What if you owe? For those filing 1040, you might owe some money to Uncle Sam. The sooner you file, the sooner you will know how much money you’ll need to pay back to the IRS. 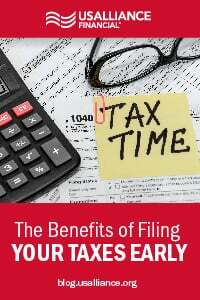 Filing early can give you time to devise a plan, move money around, or budget financially. Ah, think of all of the ways you could use it. Add a little bit to your savings account, a little bit to go towards paying your debt and maybe a little bit to buy something extra special. After all, you’ve worked hard all year long. Why wait? Preparing for a life change. Accepting a new job? Getting married? Buying a house? 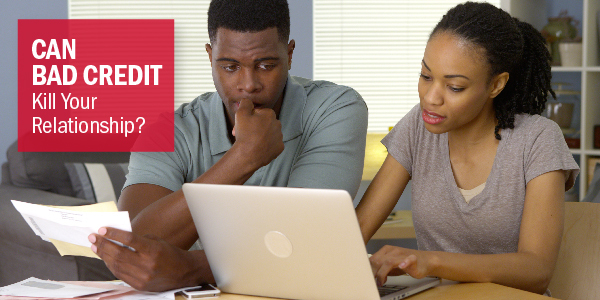 Filing your taxes early could get you one step closer to getting required paperwork organized. All of which is necessary when making a major change, like applying for a home loan. Picture this: it’s the day before the filing deadline. You run to your local tax office only to discover, that like you, thirty other people have waiting until the last minute. The feeling of dread washes over you as you prepare to sit in waiting area for the remainder of the day. Guess what? Filing early can help you avoid all of that unnecessary stress. Gather your documents and start filling out the paper work now. If it all seems too overwhelming, give yourself a fake deadline (set earlier than tax day) and work on your taxes a little at a time. Don't forget to download our budgeting sheet for extra help setting yourself up for an amazing fiscal year. Can Bad Credit Kill Your Relationship?